I couldn’t think of a nicer way to launch our new site, Wine Travel Eats, than this article. 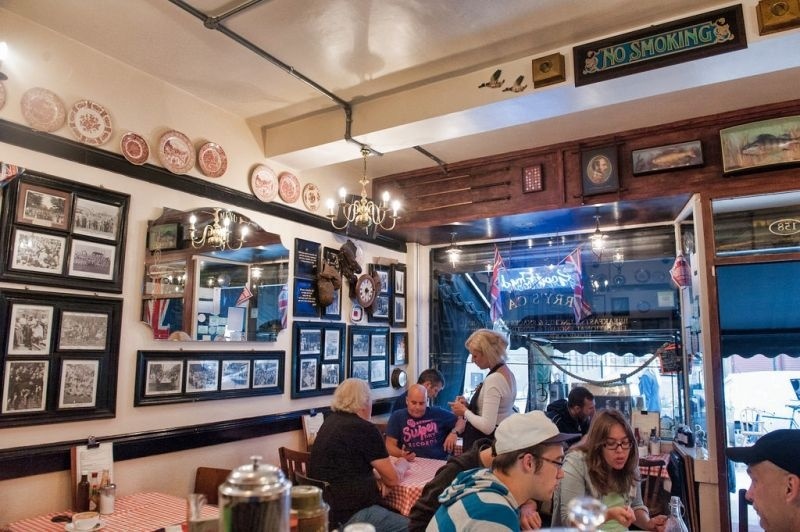 The little gem that is Terry’s Cafe is everything that epitomizes life in London and why it is so special. The next morning David (The Brit) and I wandered out to our local cafe for breakfast. 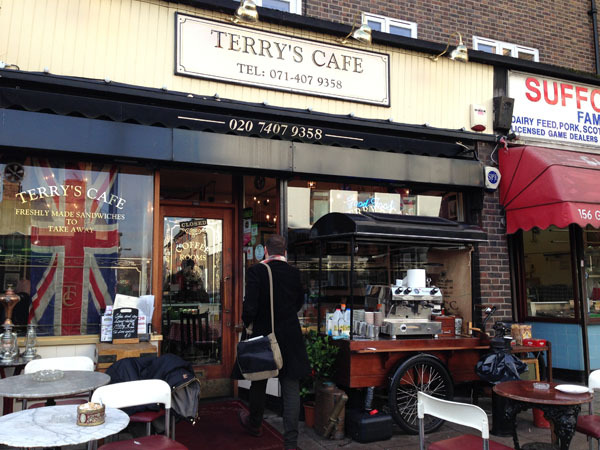 The place is called Terry’s Cafe and it is located just steps from our flat. We had not really been able to see anything the day before as it had been Sunday and everything was shut, but on that morning it was like a sparkling beacon. The exterior of the place is like any other little cafe. What you notice are workmen and tradespeople sitting outside drinking their cuppa, chatting with each other and the staff. There is a gorgeous old-fashioned looking coffee cart out front too which added to the charm. It was a cold day, so we decided to sit inside. Stepping inside is like going back in time, yet oh so modern. The decor of the place couldn’t have been more perfect. Old photos of London are framed and grouped together in black wood against cream walls. 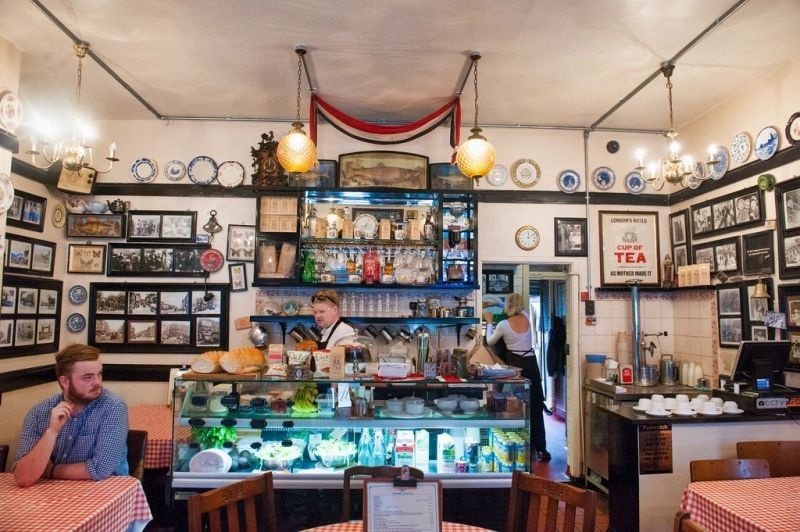 The old cafe tables are covered in red and white check tablecloths and the old plates and other bits of knickknacks scattered here and there make the place cozy. Before getting there I mentioned to David that we probably weren’t going to get a decent cup of coffee at a greasy spoon cafe. I was wrong on both counts. Terry’s is no greasy spoon and they had outstanding coffee. What great things to be wrong about! 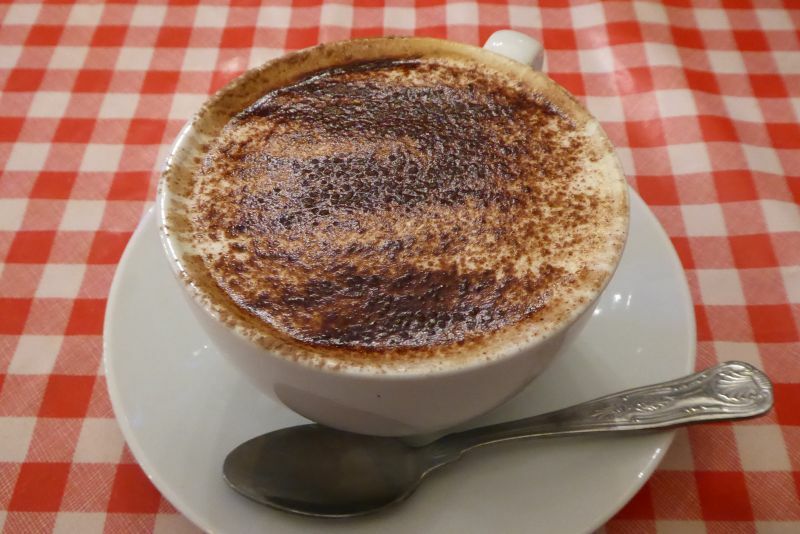 We both ordered a cappuccino to start and boy were we impressed! Great big cups served with a little chocolate sprinkle on top started off our morning right. 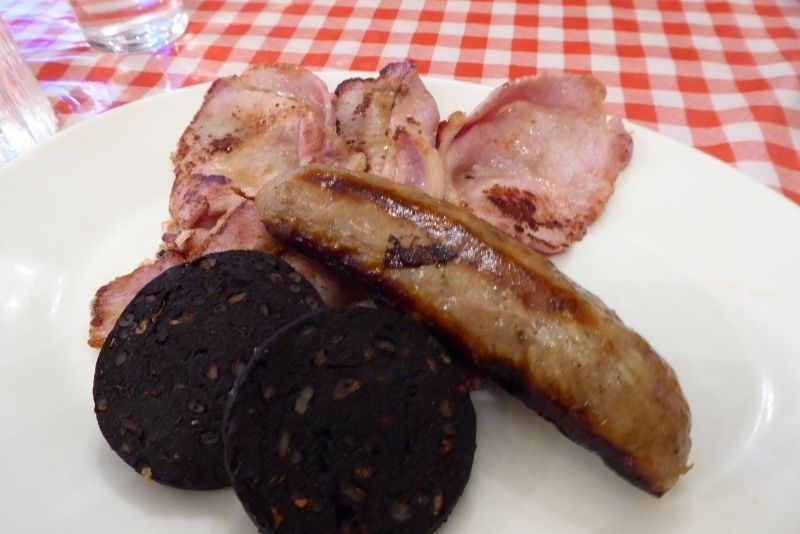 For breakfast, David, true to his British roots, ordered a plate of sausage, black pudding, and bacon. (He doesn’t eat eggs). Black pudding is a traditional sausage in the U.K. made out of blood and all of the leftover byproducts of meat. I think its one of those things you have to grow up with because I just can’t do it. He sat there happily eating his breakfast with gusto. Sounds of “nom nom” were coming from his side of the table. 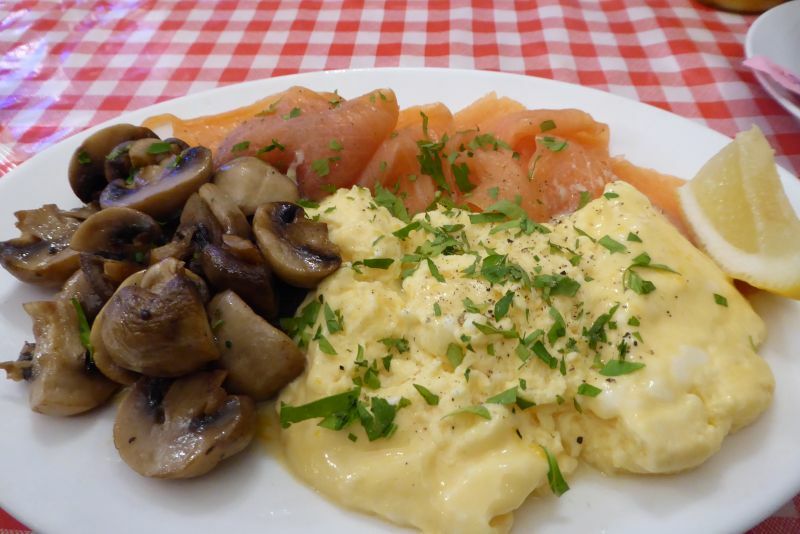 I had the “posh” breakfast of smoked salmon and scrambled eggs with a side of sauteed mushrooms. I have to tell you that the scrambled eggs were cooked to absolute perfection, moist and deliciously seasoned. The mushrooms were also great but I was most impressed with the quantity and quality of the smoked salmon. Usually, when you get it in restaurants they give you skimpy portions or low-quality fish. That is not the case with Terry’s. While we were eating and people watching, we couldn’t help but notice the Londoner who was talking with everyone around the tables. This turned out to be the owner of the establishment, Terry himself. (He is pictured above in the picture behind the counter reading.) He came over and greeted us like old friends making sure we were happy with everything. You can tell he puts great pride into his place, and all that goes into it. We were absolutely charmed. This place is a must visit if you are visiting London. The fantastic food and coffee combined with the hospitality and charm make this breakfast place a true winner. We will be going back time and time again while we are here. I loved it so much I ate there a second time with a friend a couple of days later. The eggs were so fresh they had bright orange yolks. Delicious! David comments: Terry’s also sells beer, wine, and spirits. On another day, I might have been tempted by a Bucks Fizz. We shall also need to pop in for lunch and try that menu. If you want to visit Terry’s, check out their website. Sounds like a charming place. Glad you’ve settled in and are enjoying London! 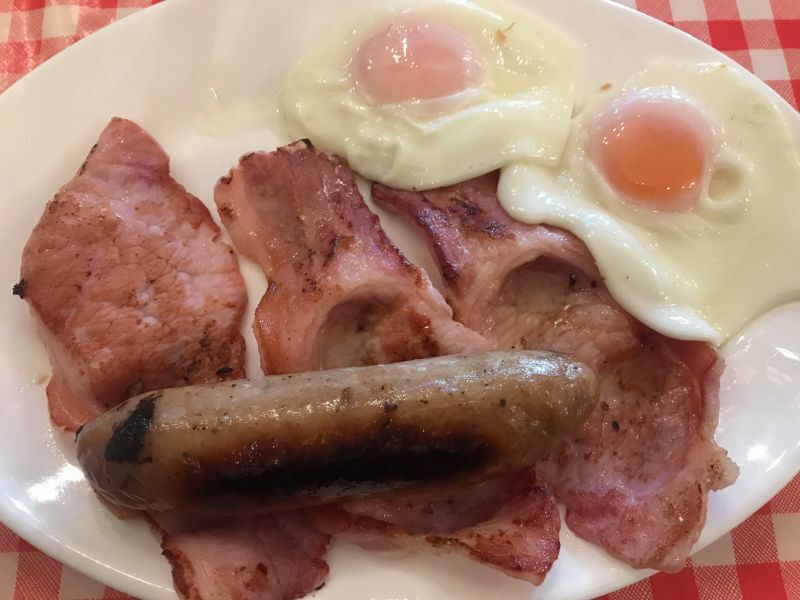 I also had a great breakfast here with Californian Girl, really tasty bacon and sausage and the eggs had brightly coloured orange/yellow yolks, could not have been fresher! Sounds like an amazing place and just loved the video! Brilliant! I’ll definitely be stopping by when I return to London! 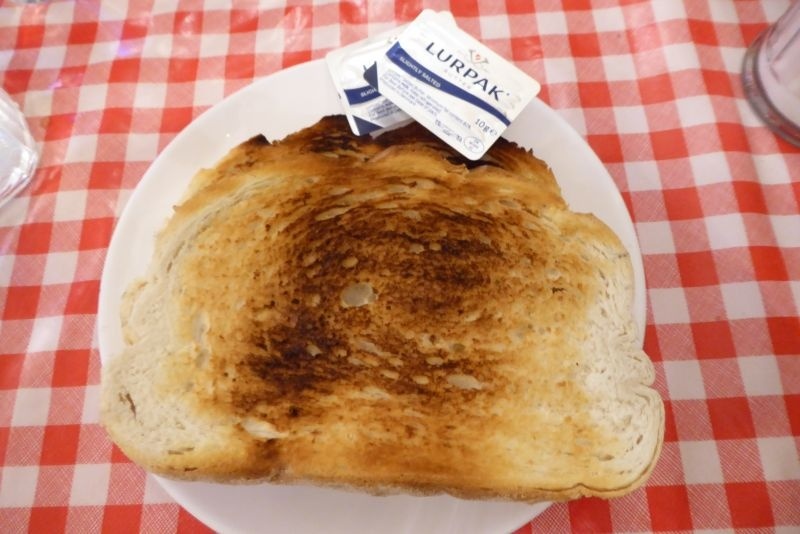 Nothing to beat a proper English breakfast at a proper old fashioned yet quality greasy spoon. This place looks great!